Hope everyone is having a wonderful day. The weather is 80 degrees with a cool breeze. I couldn't ask for more than that. Happy Crafting and thanks for stopping by. 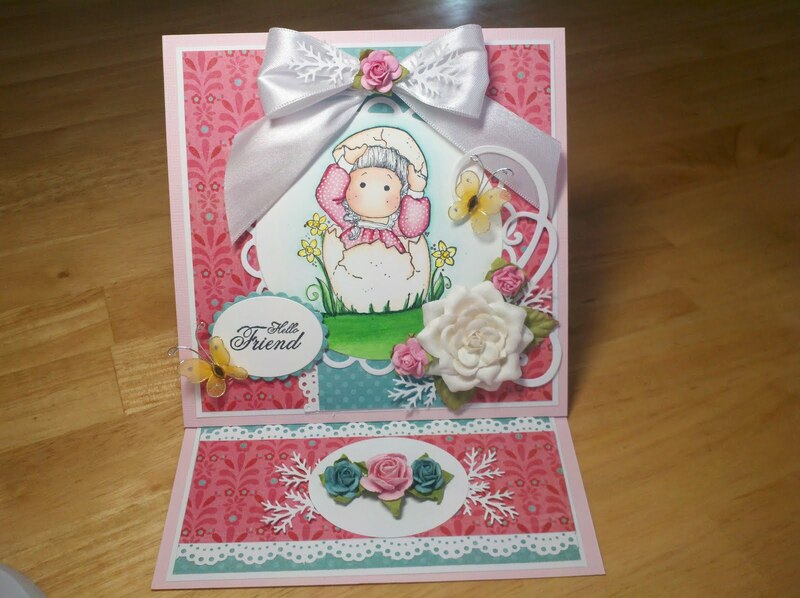 how cute.. wonderful coloring.. beautiful card.. I love it soooo cute!!!!! Hi Julie, She's called Hello Tilda, and she's one of my favorite spring images. Beautiful card! I love the pretty colors, delicious flowers, and that lucious bow! Beautiful card Julie! 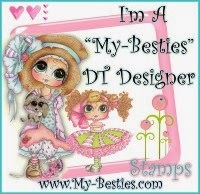 Love the layout and your image is darling! Hey Julie - you are too funny - your card turned out really well even with the forgotten hair colors. Your card is so delightfully pretty that who notices the hair!!! Wow, Julie your card is one of the prettiest Easter cards I've seen lately! 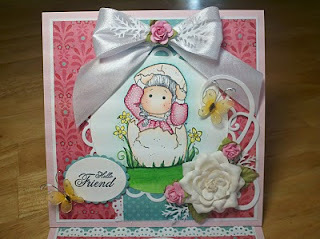 Love this stamp and the gorgeous colors and papers too! Gorgeous creation Julie!! I just love the colors you have used...beautiful. How absolutely precious!! Love it all! This is precious, Julie! I love your design and all of the elements you chose to use. Sorry this "love" comes months late. I'm a little behind, LOL!